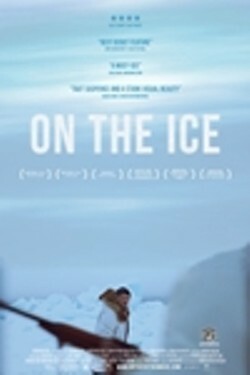 The engrossing and suspenseful feature film debut by filmmaker Andrew Okpeaha MacLean about two teenage boys who have grown up like brothers go about their lives in the comfortable claustrophobia of an isolated Alaskan town. Early one morning, on a seal hunt with another teenager, an argument between the three boys quickly escalates into a tragic accident. Bonded by their dark secret, the two best friends are forced to create one fabrication after another in order to survive. The shocked boys stumble through guilt-fueled days, avoiding the suspicions of their community as they weave a web of deceit. With their future in the balance, the two boys are forced to explore the limits of friendship and honor. On the Ice is not showing in any theaters in the area.